I hope you already got the newest edition of the Papeles y Más magazine. 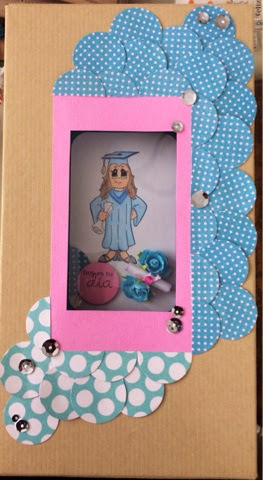 Lots of beautiful projects and ideas for Mother's Day, graduations, Father's Day... and more. 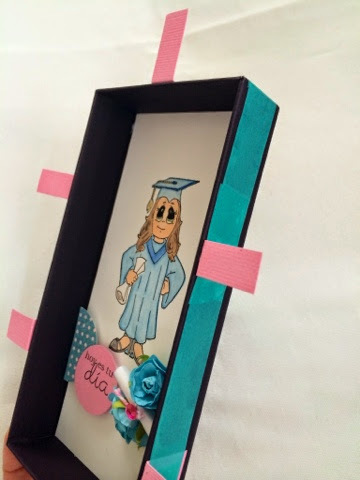 You will see several projects made by me and if you already saw them, you know one of them is a shadow box you can use to hold a graduation gift. You will find the instructions in the magazine, but I figured you could use some more help with photos. 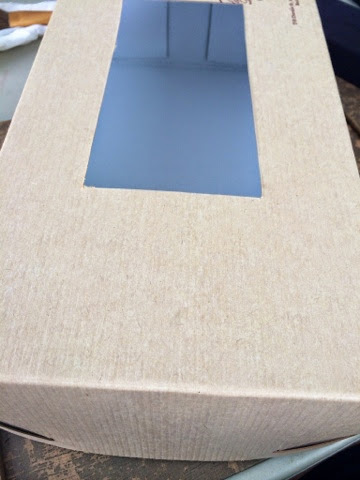 I used a big box and cut an open space in the cover. I used a transparency to cover and make it a window. In a smaller box I created a scene. Stamped an image from Stamp-a-Hoot and a sentiment from Latina Crafter. 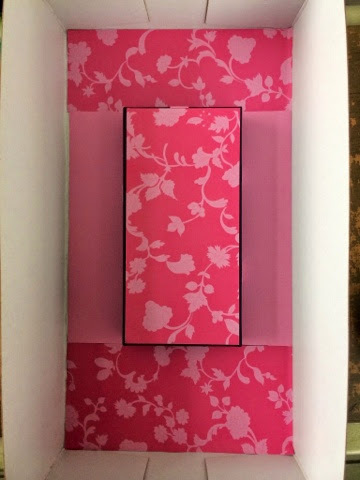 With some adhesives and cardstock strips I managed to place the box so you can see it through the window. I also added some patterned paper to cover the inside of project and make it neater. I embellished with circles and sequins. 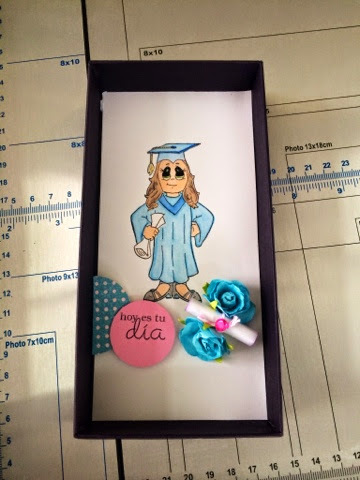 This box is ready to graduate. See much more in the magazine. If you liked this, show it leaving a comment. 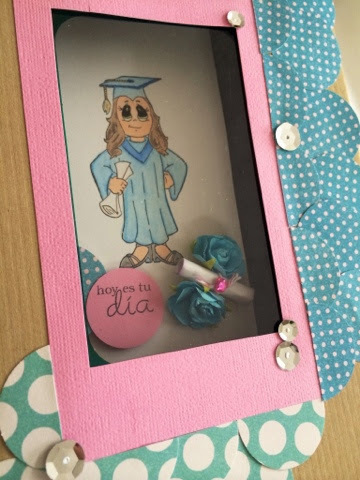 Que lindaaaaa! Me voy a copiar el concepto, puedo? Wish you the sweetest Friday! LCSC34 - A Sketch Challenge! A card...In the middle of the week!